[toc]Bronchitis is a debilitating and fatal disease unless proper steps are taken to cure it. Herbal remedies are a good idea for dealing with bronchitis. This is because the healing power of natural herbs cannot be denied. Herbs are an effective and efficient cure for handling the disease. Herbal remedies for bronchitis include Holy Basil, Eucalyptus, Mullein, Plantain, Horehound, Elecampane, Horsetail, Hyssop, Anise and Thyme. These herbs are very effective in curing bronchitis and can offer complete recovery from this respiratory disease. Some of these herbs ease the inflammation of the lungs whereas others are good for getting rid of coughing. 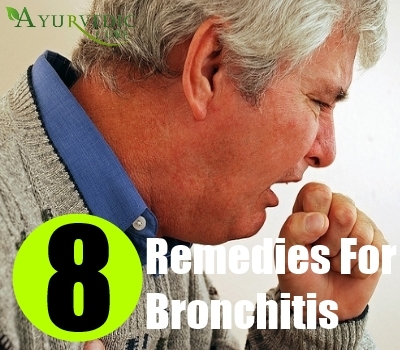 This article covers some of the best herbal remedies for curing bronchitis. Holy Basil, called Tulsi in India is a very effective herbal cure for bronchitis. This herb contains curative properties which lessen the lung inflammation of patients suffering from bronchitis. Holy Basil can be had in the form of a herbal tea for 3 to 4 times in a day till the coughing and inflammation subside. 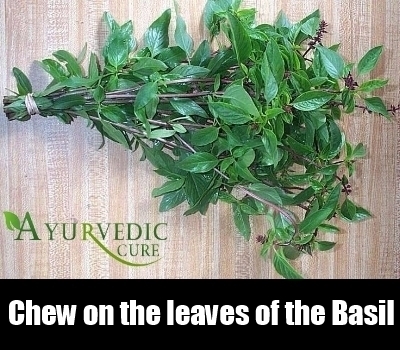 You can also chew on the leaves of the Holy Basil for overcoming bronchitis. 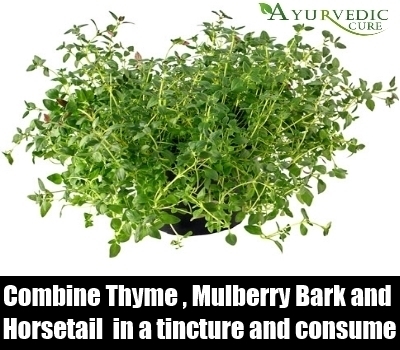 Known by the botanical name Ocimum Tenuiflorum, it is an aromatic herb. Holy Basil is mentioned in ancient Indian religious texts as a herb which is extremely useful because of its rare and precious medical properties. Holy Basil is an adaptogen which moderates the body’s response to stress and infections. One of the best Ayurveda cures for bronchitis is mixing the leaves of this herb with clarified butter ( called “ghee” in India) and consuming it. Malabar Nut called Vasa and also known by the botanical name Adhatoda Vasica is a good herb to treat bronchitis. It is available in the form of a liquid extract. You can mix this liquid extract with honey and consume about 2 teaspoonfuls thrice a day for maximum benefit. You can also chew on the leaves of this herb for gaining relief from bronchitis. 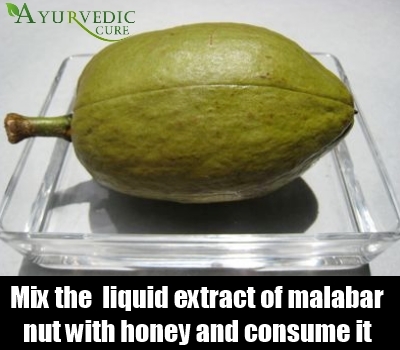 Malabar Nut is also called Adulsa. This plant is native to the Asian region. Vasicine, a chief constituent of this herb has the ability to cure bronchitis. Clinical trials have shown this herb to be a very effective cure for bronchitis. Umckaloabo also known by the botanical name Pelargonium Sidoides is an African herb. Its extract is excellent for curing bronchitis. This herbal extract helps to gain relief from bronchitis. It also prevents the onset of this respiratory disease. Studies show that this herb can be used to cure acute bronchitis. Research has established conclusive proof that this medicinal herb is effective not only in curing bronchitis, but also preventing it. This herb contains Gallic acid which makes it a very good cure for respiratory diseases. Thyme is an expectorant and cough suppressant. It is very useful for easing the mucus congestion and coughing characteristic of bronchitis. This herb can be combined with Mulberry Bark and Horsetail in a tincture or syrup and consumed daily to overcome bronchitis. You can also mix this herb with Peppermint or Hyssop and rub the resulting mixture on the chest for getting relief from bronchitis. The botanical name of this herb is Thymus Vulgaris. 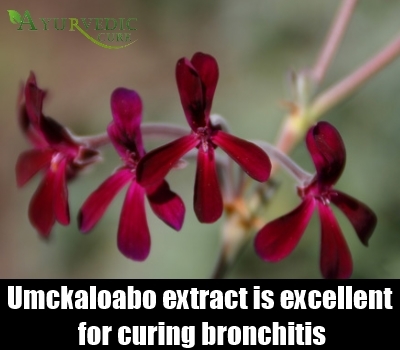 This herb is very effective in curing bronchitis because it contains antifungal and antibacterial properties. It is very efficient in eliminating infections and is an ideal cure for respiratory ailments such as bronchitis. You can also mix Eucalyptus oil in a steaming bowl of water and inhale the vapor emanating from it to cure bronchitis. Eucalyptus is a effective cure for this disease. You need to take the vapor inhalation till the congestion subsides and the cough is gone. 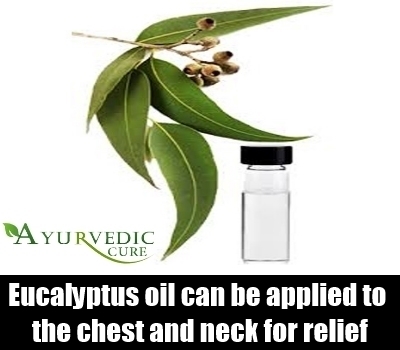 Eucalyptus oil can also be applied to the chest and neck for relief. The oil of this herb contains antibacterial and antiseptic properties which makes it very efficacious in healing infections and respiratory conditions including bronchitis. 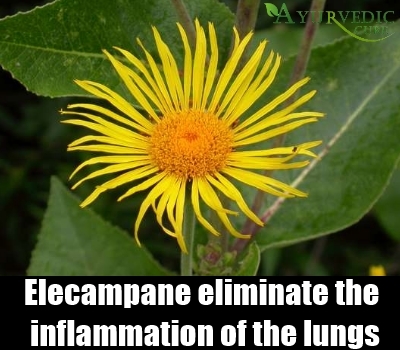 Elecampane is a good lung tonic for strengthening lungs which are weak. This herb has the ability to eliminate the inflammation of the lungs and restore your respiratory system back to good health. You can take the syrup of this herb for best results. Elecampane is also called Horse Heal or Marchalan. The roots of this herb also possess curative properties. However, care should be taken that the roots should be taken from a plant which is not older than 3 years as this can impact the degree of benefit which can be availed from this herb. The root can be dried and crushed into powdered form. It can be boiled in water and the liquid strained and applied on a compress to ease the pain and congestion caused by bronchitis. Horehound is an effective cure for bronchitis. It can be taken as a syrup or tincture. 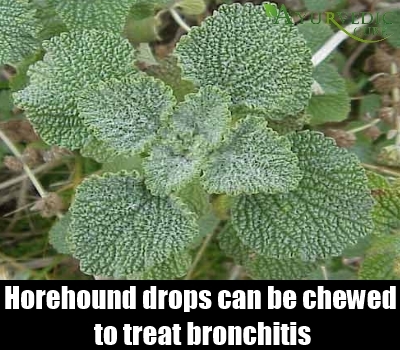 There are also Horehound drops available which can be chewed to treat bronchitis easily and quickly. Horehound can also be combined with Hyssop or Angelica for good results. Known by the botanical name Marrubium Vulgare, this herb has many healing properties. Native to Asia, Africa and Europe, this herb has antibacterial and anti-inflammatory properties. This makes it a very excellent cure for bronchitis. It also possesses antimicrobial properties which help a person to ward off infections. Thus, Horehound is a very beneficial herb. This herb was also used by the Romans because of the medicinal properties it possesses. The oil derived from a herb called Rosemary can also be used effectively for curing bronchitis. 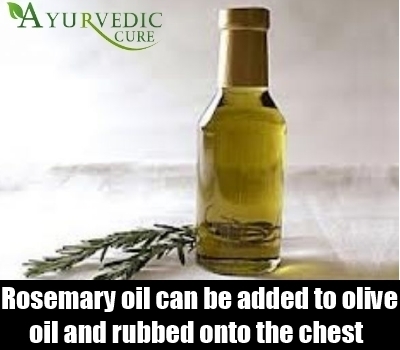 Rosemary oil can be added to olive oil and rubbed onto the chest of the person suffering from bronchitis. This helps to ease the congestion and lessen coughing. Repeated applications of these oils helps to combat bronchitis. Rosmarinus Officinalis is the official botanical name of this herb. It is native to Greece and it has been called as Rosemary because Rosmarinus is Latin for dew of the sea and this herb needs no other water than the moisture from the sea carried as humidity by the air. Rosemary is part of many beauty and skincare routines, but it also possesses many healing and soothing properties. Rosemary also contains many antioxidants and it is a well known herbal cure for bronchitis.